Janardhana Rao is popularly known as Johny Lever is an actor in Bollywood known as a comedian of great regard who has appeared in several films since the 1980's playing comic supporting roles. He was born on 14th august,1956 at Amkam village in the Prakasam District of Andhra Pradesh. 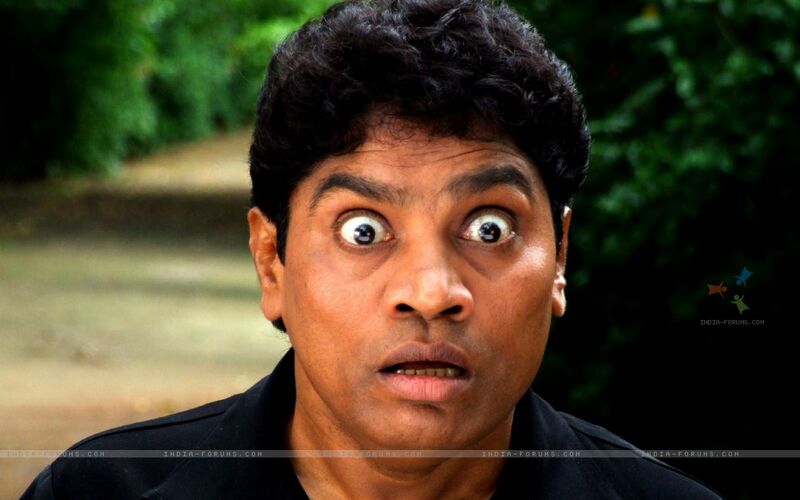 Johnny Lever started off as a comedian in real life while still at school. His beginnings as a comedian in his village were mainly comprised of imitations of his teachers, his father and his grandfather. He could not study much though and dropped out of school when he was in seventh grade. Johny Lever is a very successful comedian and he was never discouraged. He got his first break in Indian cinema was in the film Dard Ka Rishta, thanks to the late Sunil Dutt, who saw him perform at a charity show organised by Kalyanji-Anandji. Since then, Johny has worked in more than 300 films. Even though he mimics many people, he has created a style of his own which makes him unique. As a person, he is very close to his family that comprises his wife Sujatha and two children Jamie and Jesse. His younger brother Jimmy Moses, is too, a stand up comedian and mimcry artist. He also starred on Zee TV on his own show called Johny Aala Re. Johny Lever was initially employed in Hindustan Lever's factory in Mumbai with his father. While working, he entertained his co-workers in the factory by imitating one of the popular actor Elvis Presley. At one of the functions at his factory he was asked to perform and show his talent. His popularity among coworkers and officers of the factory by his performance earned him the nickname "Johnny Lever" He started to perform in musical shows . During this period he learned a lot from his mentor Kalyanji, who was described by Lever as a great philosopher and a very humorous person. At one of his shows, actor Sunil Dutt noticed his talent and potential and offered him his first movie Dard Ka Rishta. In the 1980s, he released his mimicry/comedy album, Hansee Ke Hungame, which became a hit in India and the world over, increasing his fame to another level. During this time period, he also did few commercials for Kachua chhap incense, directed by Shekhar Kapoor. In 1986, he performed in a charity show called "Hope 86", in front of the whole Hindi film industry as a filler and was loved by audience. His talent was recognized, which resulted in producer Gul Anand offering him a film called Jalwa with Naseeruddin Shah. He is considered an influential Indian comedian who has been cited as inspiration by many other comics.